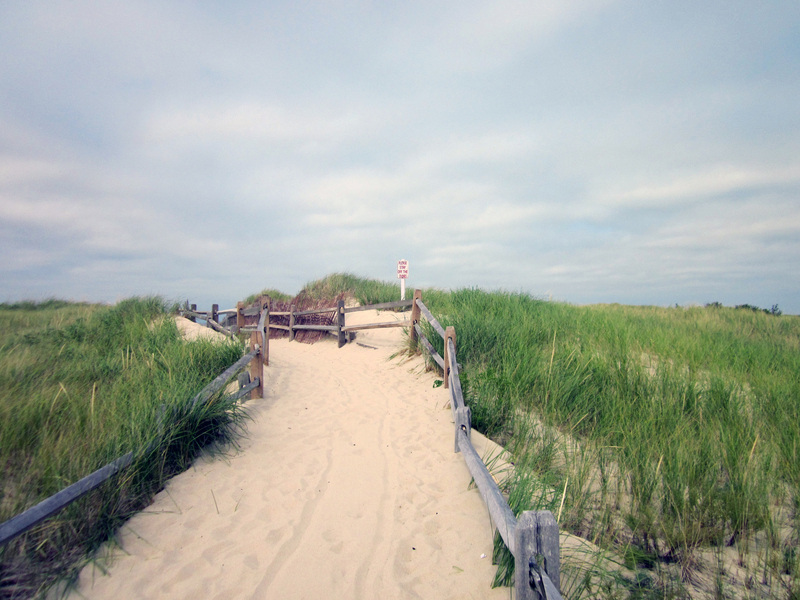 Hitting the beach is one of the most popular things to do in Cape Cod, and for a good reason! There’s nothing better than looking for shells, exploring the tidal flats, relaxing on the sand with a good book, or splashing around in the water with friends or family. Candleberry Inn is just moments away from a handful of great Brewster beaches for you to explore! Don’t forget to access our complimentary Vacation Guide for the inside scoop on even more things to do during your Cape Cod getaway. With so many beaches within walking and biking distance of the inn, it’s easy to pick up and head to the beach on a whim. We even have complimentary beach chairs for you to use during your stay! If you plan on driving to the beach, all you have to do to prepare is get a beach sticker at the Brewster Visitor Center beforehand. When your vehicle is parked in the beach parking lots, residential stickers must be displayed on the back bumper. Daily and weekly passes for visitors must be displayed in the side rear window of your vehicle. The Visitor Center is located in the Brewster Town Hall Office Building at 2198 Main Street and is open June through August. This bayside beach off Breakwater Road is just a 10 to 15-minute walk from Candleberry Inn! Upon arrival at Breakwater Beach, you’ll enjoy the mild water temperature, soft sand, and calm water. 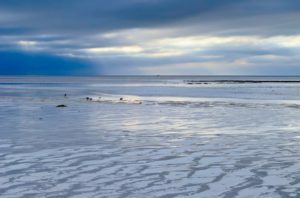 We recommend trying to experience this beach one day during low tide so you can walk amongst the extensive tidal flats and pools that are as interesting as they are beautiful. Be sure to pack a lunch and refreshing beverages, but keep an eye out for the ice cream truck in the summer if you feel like indulging in a frozen treat! Crosby Landing Beach is one of the largest Brewster beaches and is less than five miles away from the inn. Like the other beaches on the bay, Crosby Beach boasts calm, warm water during the peak of summer and soft sand. Early morning and sunset are excellent times to take in the beauty of the surroundings at this beach. Best experienced at low tide, Ellis Landing Beach is less than three miles from Candleberry Inn. With sand dunes protecting the beach areas, this beach has a more “private” feel to it and is perfect for picnics as well as soaking up the sun. Linnell Landing Beach is just an 8-minute drive from your accommodations at Candleberry Inn. Here, you will find a wheelchair-accessible boardwalk from the parking area to the beach. If you’re looking to swim, we recommend doing so at high tide. 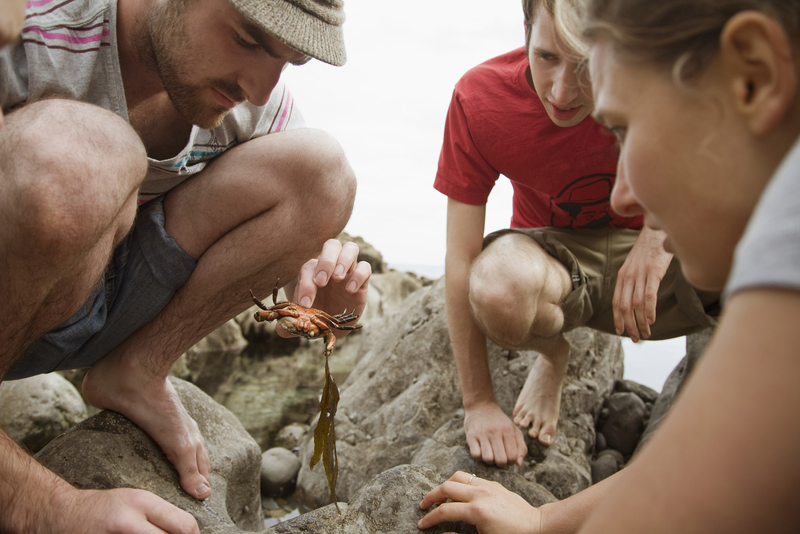 Otherwise, you can search for sea creatures in the tidal pools at low tide. This beach also has access to a bike path! Paine’s Creek and the adjoining beach are a popular place to go for outdoor adventure. The beachfront is perfect for building sandcastles, peering into tide pools, and swimming. Kayakers often start their journey at the mouth of the creek and paddle toward the bay. If you’re looking for Brewster beaches that are quiet and uncrowded, head to the Point of Rocks Beach. There is no parking lot because the beach is at a dead-end street, so you won’t find many people here. As the name of this beach suggests, there are many rocks scattered about to give this beach character. Keep an eye out for the sea creatures that live among them! 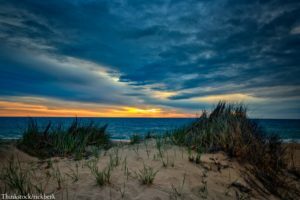 Robbins Hill Beach is known as being a Cape Cod destination for exploring sea life. This beach is filled with countless tidal pools and rock jetties. Sea creatures love hiding in the many nooks and crannies! The beach at Nickerson State Park isn’t by the ocean, but it’s still a one of the most favored Brewster Beaches by both locals and visitors. Inside the park, you’ll find Cliff Pond. When you go swimming in this pond, you won’t have to worry about fighting the waves. Or, you can paddle boat or kayak across the water! Small and peaceful, Saints Landing Beach is one of the best places to see the sunset. Explore the Cape during the day, but make sure you’re back here before sunset to see the sky light up in color over the water. 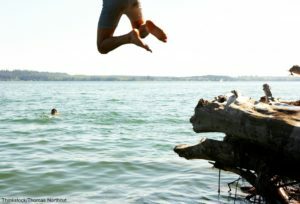 You can also enjoy the Brewster Flats at low tide for a great walk, swim at high tide, and even cast a line. If you’re ready to pack your bags and spend some time on the Cape, we invite you to make Candleberry Inn your home away from home. We’re conveniently located in the center of Cape Cod to allow you easy access to the many things to do and see in the area. No matter what time of year you decide to come to our inn, these Brewster beaches will be here for you to enjoy. Start planning your getaway by browsing our accommodations and learning about our amenities like our delicious homemade breakfasts. We look forward to hosting you!